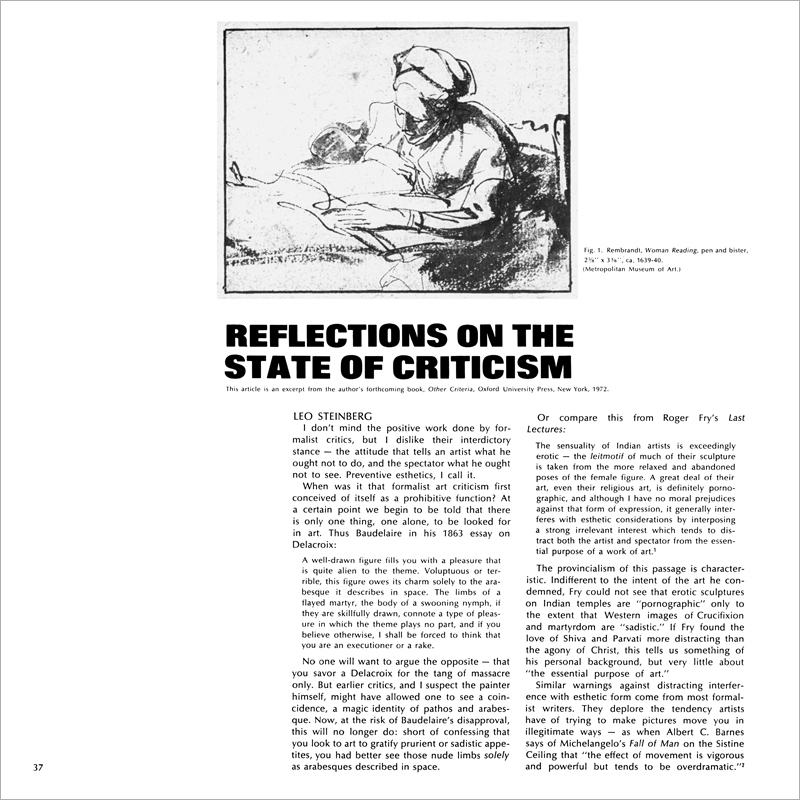 I DON’T MIND THE POSITIVE work done by formalist critics, but I dislike their interdictory stance—the attitude that tells an artist what he ought not to do, and the spectator what he ought not to see. Preventive esthetics, I call it. ✻ “. 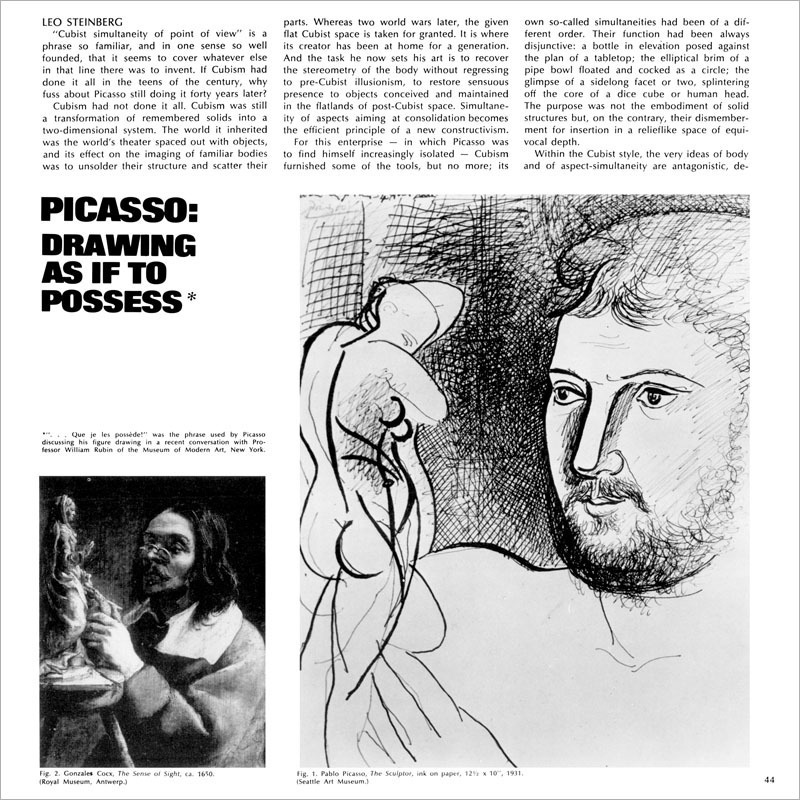 . . Que je les possède!” was the phrase used by Picasso discussing his figure drawing in a recent conversation with Professor William Rubin of the Museum of Modern Art, New York. “CUBIST SIMULTANEITY OF POINT OF view” is a phrase so familiar, and in one sense so well founded, that it seems to cover whatever else in that line there was to invent. If Cubism had done it all in the teens of the century, why fuss about Picasso still doing it forty years later?